Speaking to representatives of more than 70 countires at a conference in Munich on Saturday morning, she stressed that “security and prosperity is bound to global security and prosperity,” and that Britain wants to continue cooperation with Europe as it leaves the European Union. “The British people took a legitimate decision to bring decision-making and accountability closer to home, but it has always been the case that our security at home is best advanced through global operation, working with institutions that support that, including the EU,” she said. “Changing the structures by which we work together should not mean we lose sight of our common aim – the protection of our people and the advance of our common interests across the world. The speech – titled “Road to Brexit: A Security Partnership” – comes after critics have accused the Prime Minister of “putting joint working to combat terrorism and organised crime at risk,”according to The Independent, as Brexit threatens Britain’s membership of the European arrest warrant and Europol, the EU’s law enforcement agency. It also poses a threat to the swapping of “vital intelligence information” and access to the Schengen Information System (SIS), which holds an 8,000-name watchlist of suspected terror suspects. “As internal and external secury become more and more intwined, with hostile networks no longer only outed in state-based agression, and weapons designed not just to be deployed on the battlefield, but through cyberspace, so our ability to keep our people safe depends evermore on working together,” she said. 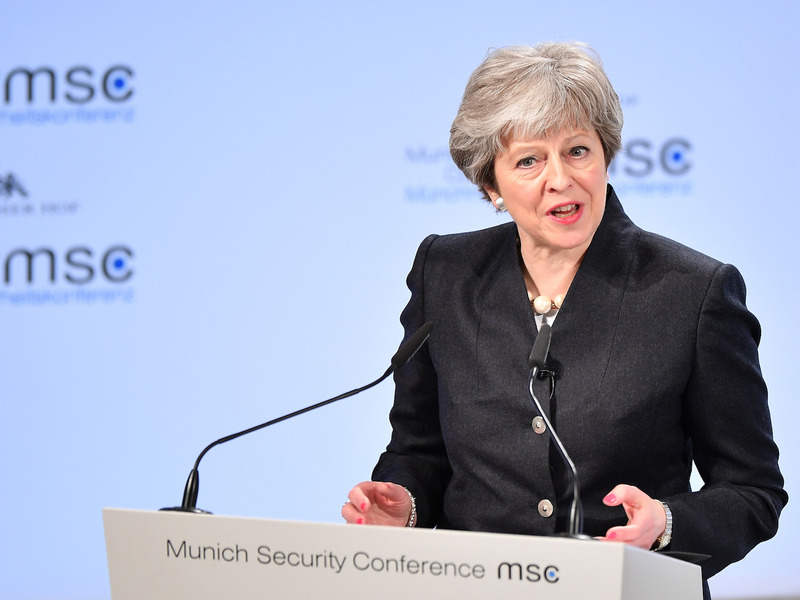 Speaking on the attacks in Westminster, Manchester, and London, May said: “These people don’t care in they kill and maim Parisians, Berliners, Londoners, or Mancunians, because it’s the common values that we all share that they seek to attack and defeat.